Spring semester is in full swing here at Dancewave! Here’s a look at what’s coming up next. Dancewave offers Summer Programs for ages 18 months-18 years with drop-in classes, half/full day youth camps, and dance intensives. 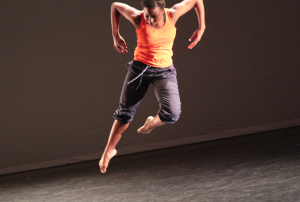 Classes are led by Dancewave teaching artists, and intensives include special guest artists. 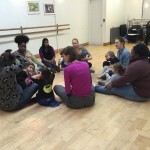 From twirling toddler to pre-professional performer, we have classes for everyone! 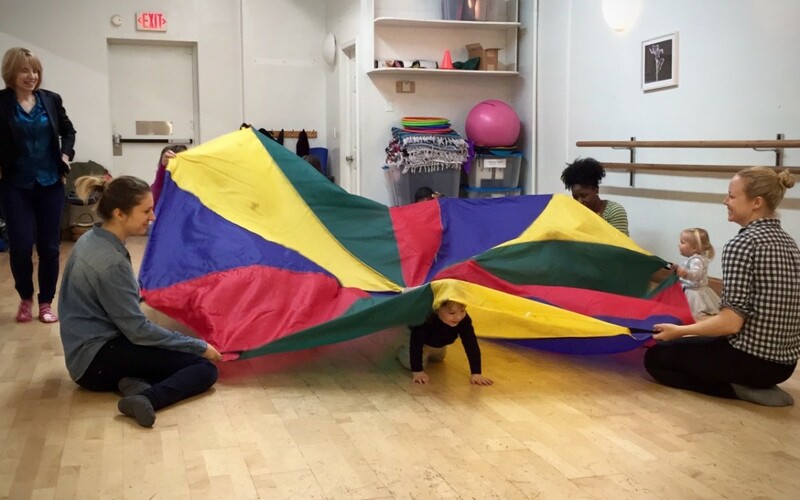 Skip, jump, clap, and twirl with your toddler in these creative and imaginative movement classes, providing essential motor and developmental skills. 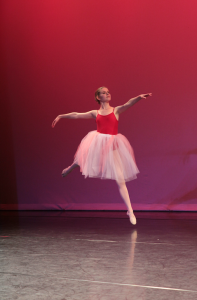 Students ages 5-13 have the opportunity to dance for a half day or full day in this week-long dance & arts camp. 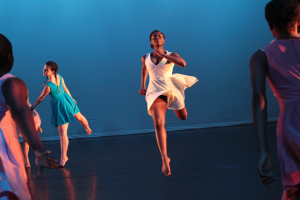 Dancers explore modern, choreography, ballet, jazz, hip-hop, and more. 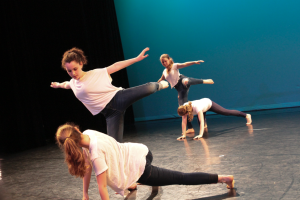 Dancers ages 10-18 strengthen their dance technique and refine their artistry through daily classes with a focus on modern and ballet technique. 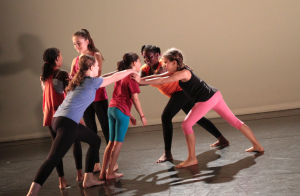 Dancewave brings a fun & focused intensive experience to dancers 10+ with technique classes, improvisation, and repertory with renowned artists. 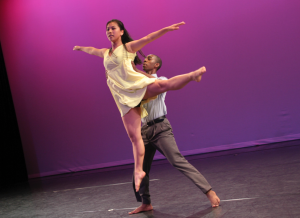 The Summer Dance Intensive will include an informal showing highlighting emerging choreographers and will culminate with a special performance opportunity for participants. Options are available for half day or full day & one-week or two-week registration. An audition is required for participation; selected students will be invited to participate in the Advanced Summer Dance Intensive. Early Bird Registration ends April 15. Scholarships available upon audition. Reserve your audition spot at www.dancewave.org/learns/scholarships. All auditions will be held at Dancewave 182 – 182 Fourth Avenue, Brooklyn. 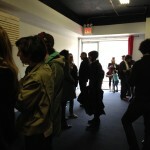 If you haven’t already visited Dancewave 182’s inaugural exhibition, stop by! 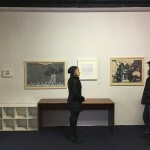 Dancewave 182 has opened its doors to visual artists, presenting their work and reaching new audiences in the Brooklyn arts community. 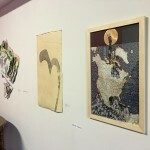 Viewings of Adventures in the Border Land: an exploration of geographies through time, space and radiance are available by scheduling an appointment at 718.522.4696. Be sure to sign the guest book while you’re there! 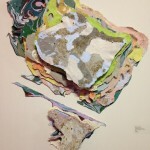 Read about the work and artists featured in Adventures in the Border Land here. Have you heard about our Gala? We are eagerly preparing for our fundraising event of the year, Spring Gala. 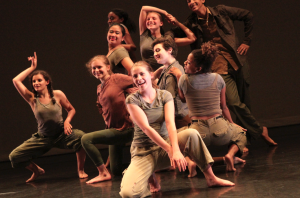 As one of Brooklyn’s premiere cultural fundraisers, the night will feature performances by Dancewave Companies & Ensembles, refreshments, and a Dutch auction in support of Dancewave’s Capital Campaign. The Dancewave Gala brings together prominent individuals on the forefront of the arts, business, politics, philanthropy, and education. 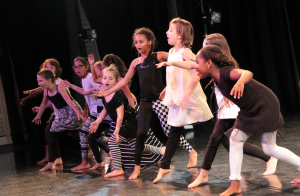 Taking place on April 20, 2016 at Roulette Brooklyn from 6:00-9:00 pm, the Gala will raise awareness and funds in support of Dancewave’s primary mission: transforming lives through dance. 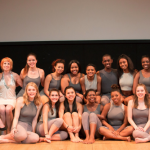 In 2015, Dancewave funded scholarships to over 50 students, providing Dancewave Company members the opportunity to train with world-renowned artists Kyle Abraham, Shen Wei, and Larry Keigwin, and to perform at Pocantico Center, Brooklyn Museum, and the Jimmy Fallon Show. 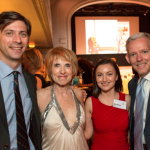 Gala proceeds support Dancewave’s Scholarship Initiative and Dancewave’s arts-in-education outreach program, D-Wave in Motion. This year’s Spring Gala will honor Emmy Award-winning choreographer and former So You Think You Can Dance judge Mia Michaels, New York City Council Member and founder of Brooklyn’s MoCADA Laurie Cumbo, and architect Wendy Evans Joseph, founder of Studio Joseph, whose team is spearheading the renovation of Dancewave’s new facility. 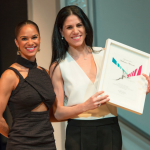 Last year’s honorees and presenters included ABT’s Misty Copeland and Paloma Herrera, New York City Council Members Jimmy Van Bramer and Stephen Levin, Rockefeller Brothers Fund Program Director Ben Rodriguez-Cubeñas and WABC-TV’s Sade Baderinwa and Saundra Thomas. To find out all about our Honorees, visit our Dancewave Gala 2016 page. Pre-Sale ends April 1, 2016. 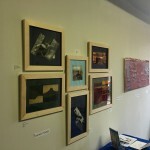 For more information and sponsorship opportunities, visit http://dancewave.org/springgala. Can you believe we’re already halfway through the spring semester? As the semester continues, we have begun preparing for this year’s Spring Season, Dancewave’s weekend of performances in May. Join us for four amazing performances celebrating Dancewave Company Program and School at Dancewave students! 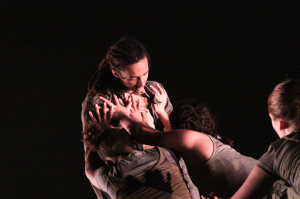 This Spring Season, Dancewave presents a weekend of performances by Dancewave Companies & Ensembles, highlighting work by renowned artists Shen Wei, Andrea Miller (Gallim Dance), Kyle Abraham, José Limón, and Julia Ehrstrand. 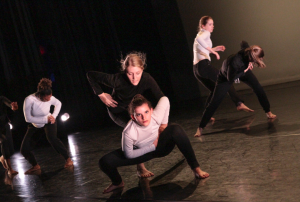 Spring Celebration will also feature original work by Dancewave Choreographers Lisa Bostwick, Paige Horton, Mariah Martens, and Rebecca Oviatt. Tickets: $30 Orchestra Front, $25 Orchestra Rear/Balcony, $15 Children 12-Under/Students with ID (Any seat). Tickets will be available April 1 and can be purchased at the box office, online at kumbletheater.tix.com or by calling 718-488-1624. This summer, as part of the Jacob’s Pillow Dance Festival Inside/Out Series, Dancewave Company will perform excerpts from Kyle Abraham’s Pavement and Andrea Miller’s Pupil Suite. 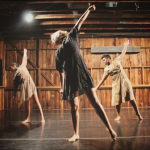 Jacob’s Pillow Dance Festival is a prominent name in dance history, with its dance roots dating back to the 1930s as founded by modern dance pioneers Ted Shawn and Ruth St. Dennis. This summer marks DC I’s fourth performance in the Inside/Out Series, having performed work by Andrea Miller at the Pillow in 2013, 2012 and 2011. We are so honored to have the opportunity to join such a rich history! DC I will perform on Wednesday June 19 at the Inside/Out Theatre at 6:15pm. This concert is free to public.